The winter weather is finally moving on and we’re ready to focus on lawn and yard work. Since moving into our new home, we have a much larger lot to take care of with a substantial amount of plants, not to mention gutters, driveways, porches and the like. Because of all the ground we need to cover, it's important that we find a quality hose with a lot of length that isn't going to kink around every bend or need replacing after only one season. A bit of online research, a hardware store stop, and a lot of review-reading later, we felt that the Gilmour brand was our best bet. 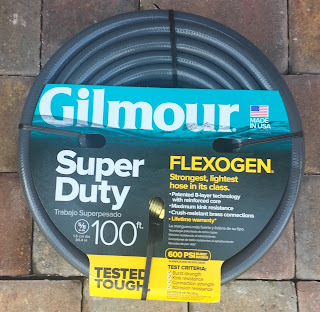 I'd use your best judgment on which level of hose strength fits your needs, (they have quite a few), but if you are looking for power, control and durability, the Flexogen Super Duty Hose doesn't disappoint. Holds up season to season and backed by a lifetime warranty! Another Gilmour product I would highly recommend is the Heavy Duty Brass Quick Connector Set. I wish we had known about this little contraption when we were living in our last house. This is especially useful if you swap hose attachments often or if you store your hose inside, rather than leaving it outside on a rack. 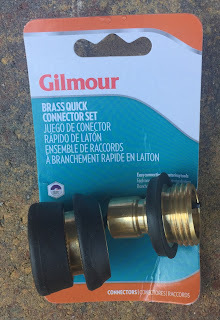 You can connect this to your hose bibb or the attachment end of the hose, making connection and disconnection a snap...literally. Snap tools together to get to work and snap them apart when you're finished, without the effort of endless twisting. The seal is tight, so water doesn't leak out. 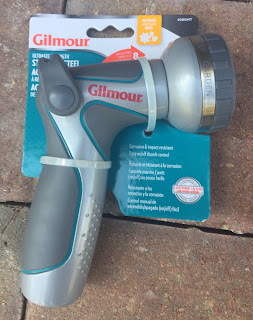 The Heavy Duty Thumb Control Watering Nozzle is AWESOME. Our old nozzle required us to hold in the trigger the entire time, which led to hand cramping and pain by the time the job was done. This nozzle is controlled by the flip of your thumb. It offers 8 different spray settings: Flower, Sweep, Garden, Shrub, Clean, Soft Wash, Rinse, Jet. 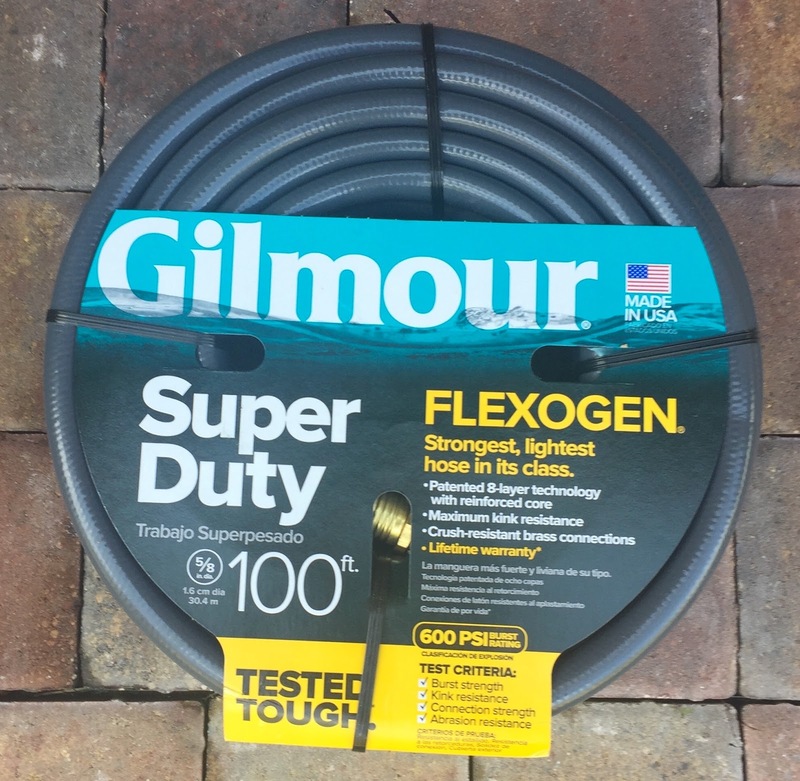 The Gilmour hose products are carried by many major retailers in the U.S. and Canada. Check out their store locator page here to find a retailer near you. Disclaimer: The products in this post were supplied for review purposes. As always, our posts are our own, honest opinions and my differ from yours.